Understanding when two fractions are equivalent is a third grade Common Core standard. Even if you aren’t teaching in a Common Core school district, you probably still cover a similar lesson on fractions in your classroom. If your students are learning how to determine if two fractions are equivalent for the first time or if they need some extra practice, videos can be a great resource. If you’re a parent, not a teacher, and your child is struggling with fractions, videos can also be helpful in getting him/her caught up with the rest of the class. Here are three videos we love that teach equivalent fractions. We like this video because it offers visual representations and clear step-by-step examples. Students can pause the video to try to solve the example problems on their own and then watch afterwards to get a detailed explanation. We like this video because of the funny cartoons, creative storyline and entertaining examples. After all, learning fractions doesn’t have to be boring. This video offers a nice introduction to equivalent fractions and would be good to show students right before the lesson. We like this video not just because we made it, but because it uses a real-life example. 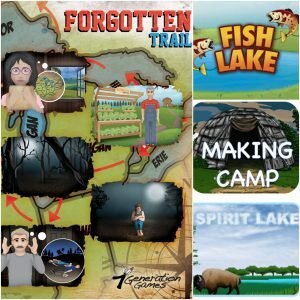 One of the characteristics that makes our games unique is that we put content in context to emphasize the real-world application. Want to see more math videos? Our games are filled with math videos on fractions, distribution, problem solving and more. Play them today. ← What do you think about Common Core?